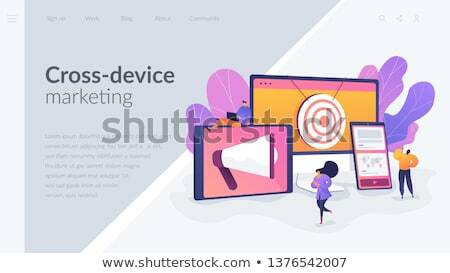 Stock photo / Stock vector illustration: Concumers with devices get targeted ads and messages. Multi device targeting, reaching audience, cross-device marketing concept on white background. Website vibrant violet landing web page template.